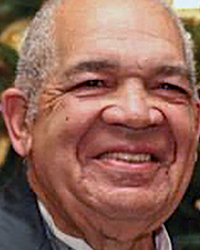 Woodrow Wilson (Woody) Pettus of Warm Springs, an Omni Homestead Resort employee for 58 years, died May 16 in Valrico, Fla. He was 77. Pettus, a fifth-generation employee of the resort, was maître d’ of its Main Dining Room. In 2003, he was named Maître d’ Hotel of the Year by GolfStyles magazine and was honored last September as Ambassador of the Year by Historic Hotels of America. Pettus’ tenure at the Homestead was discussed in a March 2016 Virginia Business story about the Homestead’s 250th anniversary.